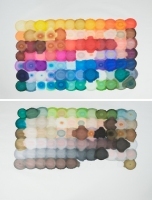 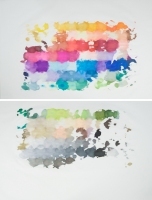 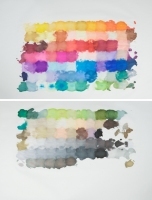 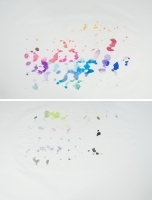 This work is adapted from Pantone Pen Print a 2006 edition of a total of 73 prints using a full set of Pantone markers. 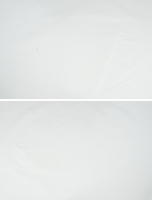 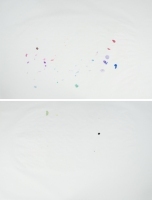 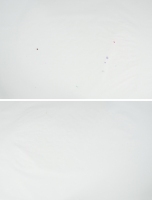 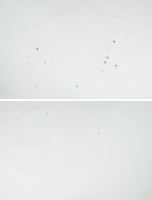 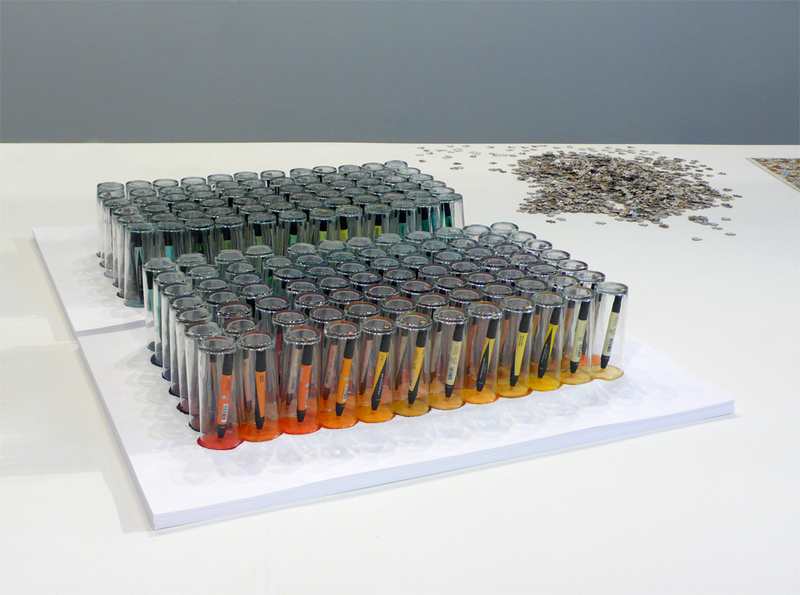 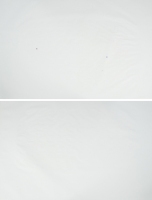 Over the course of the 39 days of the exhibition (September 18 through October 26, 2008), the paper absorbed the ink from the pens. The sheets at the top of each stack absorbed more ink than the sheets farther away from the tips of the pens. The result is an edition of organically related prints, each unique.